A very appropriate yojijukugo for the sixty-ninth entry in the series. I can hardly believe it’s been over a year already! Alternately: Containing deep meaning. Possibly this meaning is hidden, or suggestive, or simply profound; in any case it must be more than what’s going on on the surface of things. 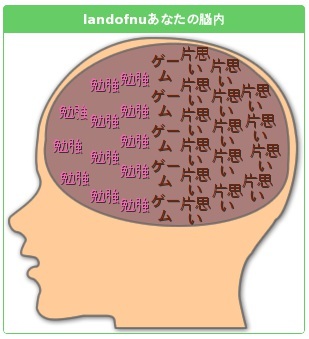 Apparently some people replace 長 with 重 (“heavy”) or 深長 with 慎重 (“careful”). But while this doesn’t change the pronunciation, and none of my sources specifically condemn them, I would not recommend using these variants. From a cute little “maker” (found here) that takes text strings and spits out the supposed contents of your brain based on your name. As you can see, “landofnu” is primarily concerned with study and unrequited love、 sandwiching a layer of game. Surprisingly close, really. This entry was posted in Japanese, Yojijukugo and tagged 69, deep meaning, 意味, 深長. Bookmark the permalink.